I picked this book up at BEA but I haven't read it yet. I hope to do so soon, because I've heard it's great! And I've heard great things about this book, so hope you love it when you finally read it! I can't wait to read this book! Great pick :) I love the cover. I missed picking it up at BEA but, for some mysteriously magical reason, it wound up in my mailbox! So, yes, I join you in the excitement of Waiting On this book. :) Hope you had a great birthday, BTW! Awesome pick. I really love the cover. Same here Alison but I can't wait to start it! I know Danny loved it, so I'm hoping I love it as much as she did:) Such a stunning cover! Though I stumbled and failed to read the rest of her Fallen series, I am oddly looking forward to this one. It's on my list as well. Great pick! I go approved for it on Eldeweiss. Hopefully, I can read it soon. Great pick! 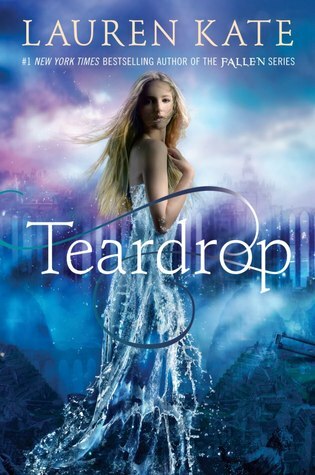 Teardrop sounds really interesting. Hope you enjoy it. Nice! Been seeing a lot of this one lately! Hope you enjoy it once you get it! This one definitely does sound good. thanks for sharing. sounds interesting! the cover is nice as well. Loved this book SO BAD!!!!! :)) Hope you like it too! I can't wait to get my hands on this book! I love Lauren Kate! This book looks so good and I cannot wait to read it! !